Last Minute Disruptions: Who Will Watch The Kids? Many different things can happen and when they do you might ask, “who will watch the kids”, hopefully you’ll have friends or family near who can step in but it’s important to have an agreement beforehand and maybe let those friends or families know that they are your go to contact. You could have a reciprocal arrangement where they might watch your kids and you’ll watch theirs, in fact there are apps and websites to facilitate babysitting arrangements like this. A home appliance breaking down can be a nightmare and always seems to come at the wrong moment making this difficult to plan for, however it is possible to prepare, insurance on expensive items such as on the boiler is key. If you are stuck then it’s always possible to get 2nd hand or free white goods from services such as Gumtree or Freecycle as a stop-gap until you have the funds in place for a new replacement. 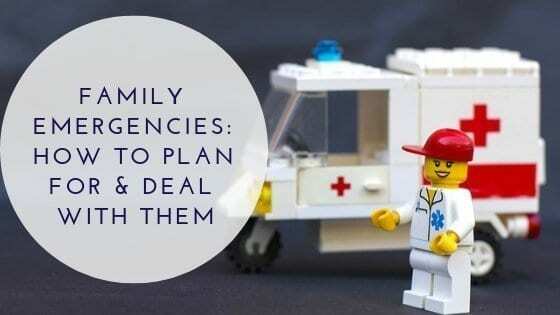 Should you or your partner die is a horrible thought that we don’t really want to confront that, however we can’t shy away from what could happen and we need to ensure we have some sort of planning in place should it happen. Firstly it’s important to have a will drafted so that possessions, finances and arrangements for the kids are sorted in the event of this it will help any uncertainty and stress for your family if your wishes are clearly laid out. You’ll also want to find a great deal on life insurance and make sure your loved are covered financially in the event of your job. Losing your job could be one of the most stressful and upsetting events you and your family can face as not only is it on you it affects the whole family and can lead to feelings of failure and inadequacy. However if you have a plan in place before this happens then the fallout might not be so bad. Savings are key, work out what % of your wages you can comfortably afford to set aside to have a buffer for the worst case scenario. You can always take out unemployment insurance to guard against loss of income, this can be pricey but it then gives you the piece of mind that you won’t go over a financial cliff edge if this happens. As we can see we can’t prevent emergencies but if you have a good plan in place the fallout might not be so bad.